The game was ruined when they ditched the peach baskets! 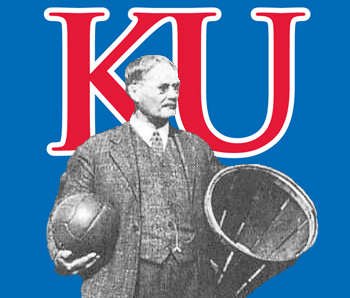 @BigBad I am pretty confident that Grimes set a KU single season record for charges committed. Just speculating. Never seen anything like it. Low BB IQ was the culprit. @wissox I agree … but I think if you miss it, say, it comes to you and just bounces of your hands (accidentally – the refs judgment that it was really a miss. Like bouncing off your back), that’s not good enough to stop a subsequent dribble. Because there was no control. But if you control it by batting it to the ground, like a dribble, you can’t then hold it and dribble again. Because the bat to the ground is actually control. Interesting. @wissox would not hold your breath. I don’t know. UVA won the ACC four of the last 6 years. Yes, last year they lost first round. Why? They didn’t shoot the 3 enough, and they didn’t have redundancy in the athleticism department and Hunter went down . Both things have been corrected. Keenly watching their success this post season. If their system can translate to post season success, I will be looking if they can maintain a lack of critical flaws with the talent they recruit. KU BUCKETS' [ESPN] BRACKET CHALLENGE! @Texas-Hawk-10 completely agree. Remember Self saying Dedric was a great passer? Dave had some awesome passes against WV! @Kcmatt7 you beat me to it! It felt like the media struggles to accept sustained greatness and is looking for the next big thing. Heck LeBron should’ve won finals MVP for the losing team, but didn’t because of the stigma. College basketball (outside of the top handful of programs) generates almost all of its money from the NCAA tournament. The NCAA tournament, in turn, generates about 90% of the overall NCAA budget on an annual basis. So the question is this - do the networks (ESPN, CBS, TNT, etc.) pay top dollar to televise the NCAA tournament. We already know what college basketball looks like if you subtract the TV money. Go to any mid major and you will see it. Drive down to Wichita State, or up to Creighton, or over to any number of other mid major programs. Even the ones that do sell lots of tickets do not have the same financial strength as those that appear on TV regularly. And these are programs that have consistently had success. If the TV/advertising money dries up, college basketball will have to change because the current model is unsustainable without that money.